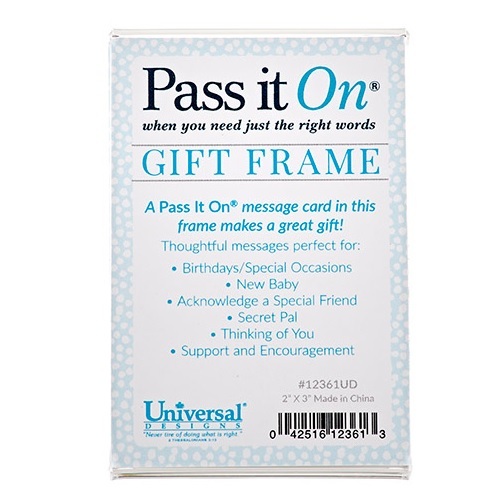 Insert your favorite Pass It On Message Card into this 3 x 2 inch acrylic vertical frame and turn it into an inspirational customized gift for tabletop display. 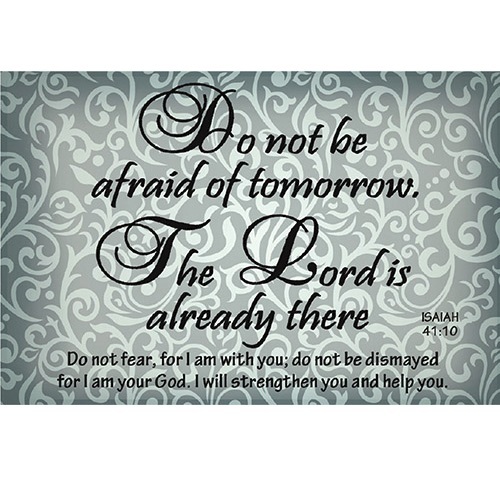 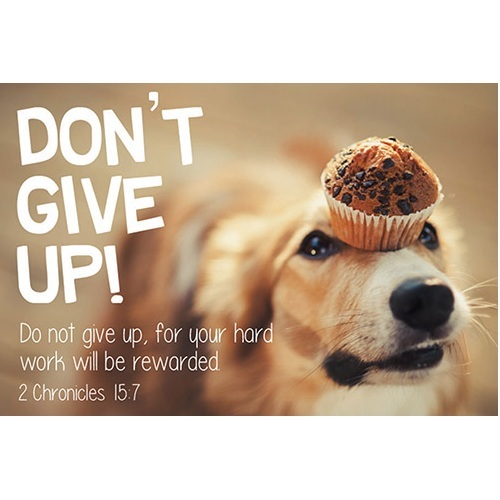 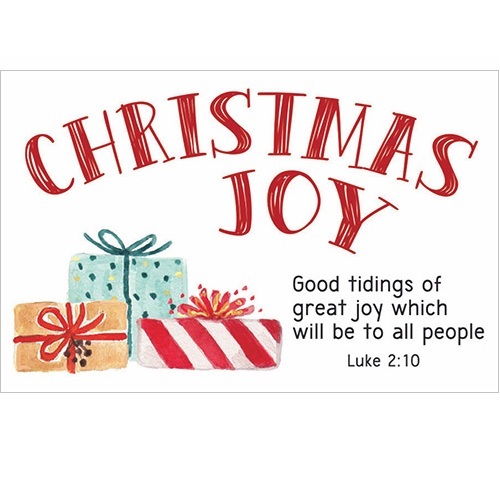 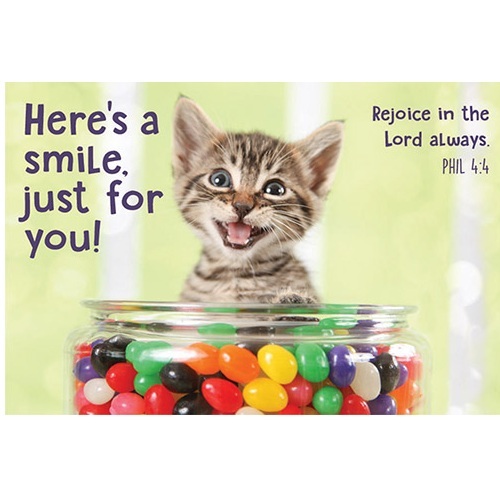 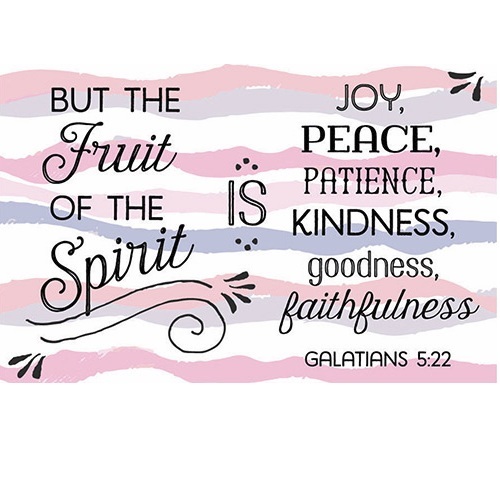 See our Pass It On Message Card selection for your favorite Scripture and design. 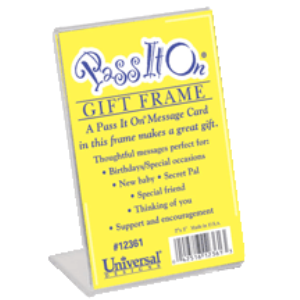 This acrylic frame is sold without a message card - the card shown is for demonstrative purposes only. 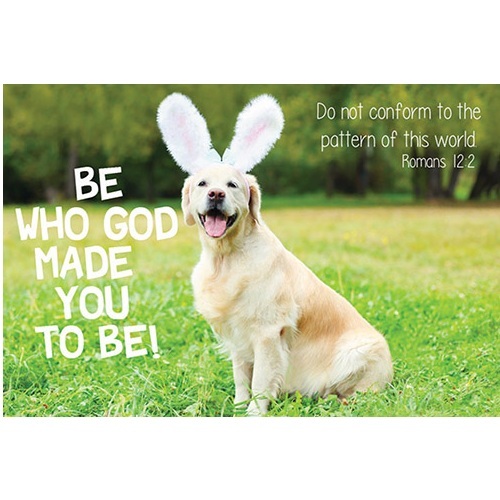 Message cards are sold separately. 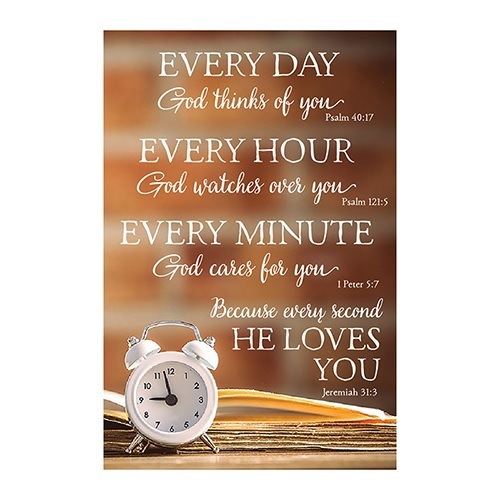 Use this frame for message cards that should be displayed vertically.